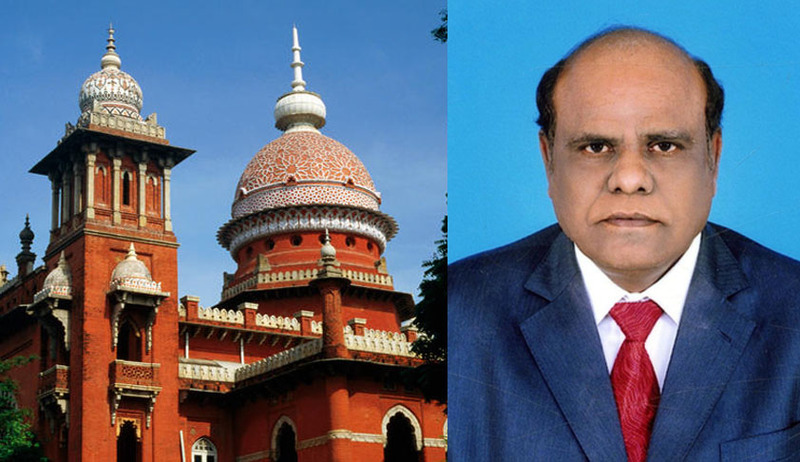 Justice C S Karnan has written a letter addressed to Chief Justice of India P Sathasivam and chief justice of the Madras high court Justice R K Agrawal, maintaining that his presence in Madras High Court was important, as he obliged to prove his allegations against the Chief Justice of India and other judges of the high court, possibly to refuse the possibility of his transfer to another high court. Another letter was addressed to the joint registrar of Right To Information (RTI) section, wherein Justice Karnan talked about alleged irregularities in the recruitment of district judges late last year and demanded for details of selection so as to make a complain to the President of India. Allegations were also made by him that the high court registry were instructed to not share any instructions sought by him. A third letter addressed to Chief Justice Agrawal, urged not to accept a senior judge’s resignation for at least 14 court panels. According to The Times of India, signed letter were circulated to media on Wednesday which read that, "I have made several allegations against your lordships (CJI P Sathasivam and chief justice of Madras high court Justice R K Agrawal) and other judges of Madras high court. As such, it is my bounden duty to establish the veracity of my allegations. Therefore, my presence as a judge of Madras high court is absolutely essential." Justice Karnan has expressed his eagerness to be shifted to any other high court stating that after the inquiry is over to the satisfaction of everyone, he will definitely and voluntarily proceed to any other high court in India, to serve with dignity and uphold the highest levels of judicial propriety. Justice Karnan, who is a serving judge, shocked the judicial community when he stormed into a court hall while a hearing on a PIL earlier this month stating the choice of names for appointment as judges of the court was not fair. He even continued his outburst against the controversial 12-name list. He warned the higher judiciary against weakening high judicial. He sought details of the selection "to make appropriate complaints to the President of India". Live Law had reported when Justice Karnan had surprised everyone by entering the courtroom saying the selection is unfair and expressed his desire to file an affidavit in his name, as he was also a part of the judiciary.